When you need to sand projects, there are all different types of sanders to help you to complete the task. With so many different models to choose from, we put together a handy guide to help you select the right sander for your project. 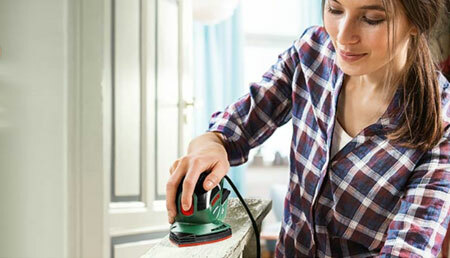 Most DIY projects require some sanding and when making your own furniture, giving furniture a makeover, or restoring furniture, you will definitely have to use a sander. 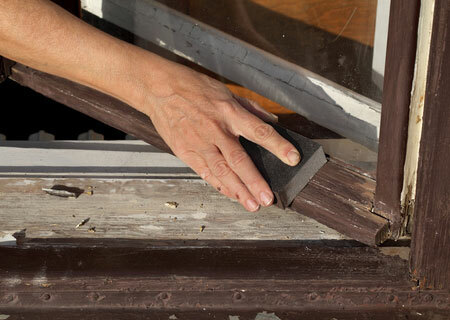 Doing all your sanding by hand is a laborious process that doesn't always give you perfect results. However, there will be times when handing sanding is the only way to go. If you have to sand pieces with lots of detailing, it isn't always possible to use a power sander and this is when hand sanding is the only option you have. When sanding any wood by hand it is important that you always go with the grain. Almost all types of timber contain grain lines and you should follow the direction of these lines when sanding by hand. If you go against the grain - using a side-to-side motion as opposed to backwards and forwards - you run the risk of ripping the grain and spoiling the finish. You may also need to do hand sanding for a variety of other projects that are hard to reach using a power sander, although we do discuss more compact sanders in detail below. Sanding sponges are available in coarse, medium and fine grit and are handy for awkward or difficult areas that require sanding. Window frames and doors are a good example of this as they may have raised or grooves that cannot be reached with a power sanding. Unlike a flat-bed sander, using a sanding sponge lets you hand sand very detailed areas, such as when restoring vintage or antique furniture, or wanting to paint these pieces to give them a new look. The foam centre in a sanding sponge lets you easily sand curved, rounded or moulded wood and can also be pushed into the detailing so that the sandpaper outside touches as much of the wood as possible. Multi sanders are handy to own and great for getting into corners or tight spaces. 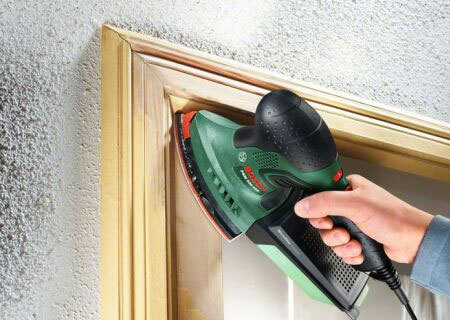 With their triangular shaped sanding pads, a multi sander lets you get into tight corners to remove surface material. These sanders, while of compact and lightweight design, are not intended for sanding of large areas and are more suited to use as a backup sander when you need to tackle specific projects. 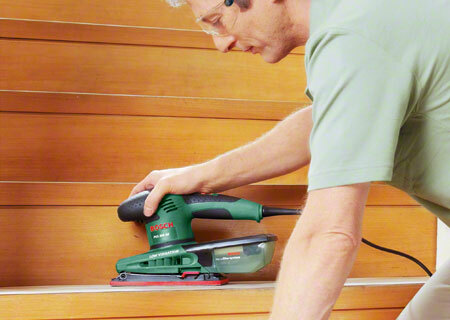 Bosch Primo Multi Sander is ideal for all your small sanding project. 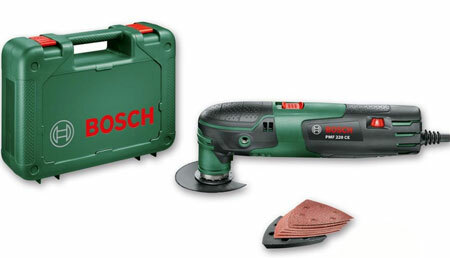 Bosch PSS 200 AC Orbital Sander sands large areas with ease. 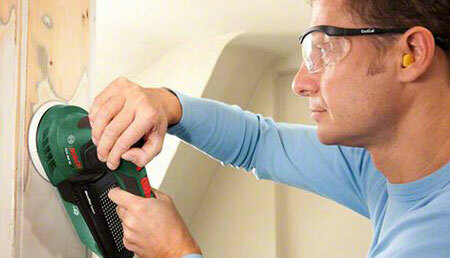 An orbital sander is an ideal all-round sander that has a wide scope of uses for the DIY enthusiast. 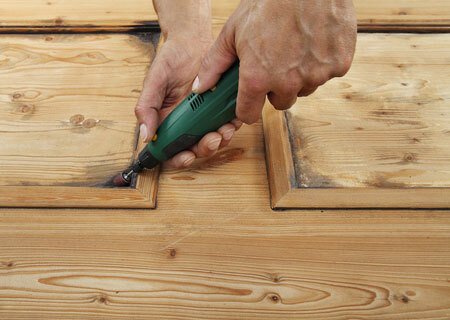 Their large flat sanding beds make it easy to sand large, flat areas such as tabletops, doors and the like. Although most orbital sanders have square or rectangular plates, you should bear in mind that it is the motion of the plate and not the shape that gives these sanders their name. Since orbital sanders move in a circular motion, it isn't absolutely necessary that you follow the grain with these types of sanders, although it is always a good idea to follow this practice. 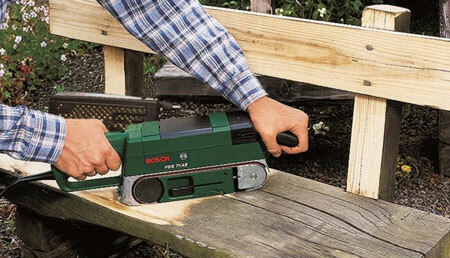 Bosch PEX 330 Random Orbit Sander is the ideal finishing sander for all your woodworking projects. Random orbit sanders also have sanding pads that rotate but in a slightly different way than an orbital sander. The sanding pattern of the random orbit sander is produced by rotation in small ellipses and it is this motion that ensures no single part of the abrasive material travels the same path twice during the same rotation - giving a far smooth finish. Random orbit sanders give a super-smooth finish, and this is why they are often called finishing sanders. 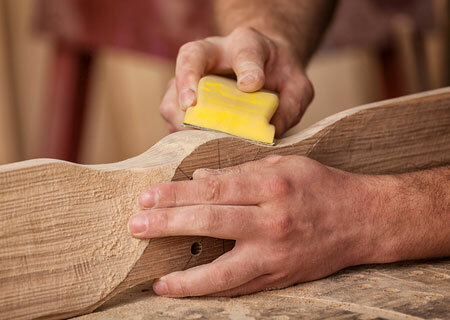 Professional woodworkers will most often use a finishing sander or random orbit sander on projects that will be stained or painted, due to the fine finish they achieve. 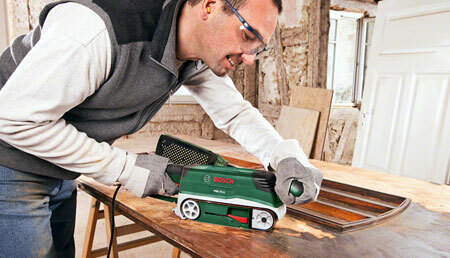 A detailing sander with its triangular head is a much smaller version of a conventional power sander and is designed to work in hard-to-reach and awkward spaces. You can also use these sanders for projects that have quite a bit of detailing, such as cabinet or cupboard doors. Generally compact and easy to use, detailing sanders are lightweight for ease of use. Belt sanders are designed to remove a lot of surface material quickly. With replacement sanding belts from 40-grit upwards, these sanders are ideal if you are restoring a deck or hardwood floors. Belt sanders are considered as heavy-duty sanders and are up to most jobs that require quick removal of surface wood.